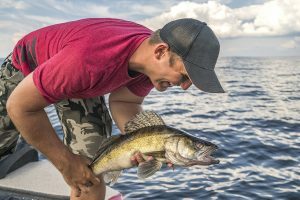 Saginaw Bay – Catch rate were spotty but anglers are catching fish out near the Black Hole, the Shipping Channel, Callahan Reef, the Slot and the sailing buoys. Average catches were 2 to 3 fish per boat. On the windy days, those that stayed close to shore caught walleye in the lower Saginaw River from the mouth to the Coast Guard station. Crawler harnesses fished off bottom bouncers seem to catch more fish because they were staying on the bottom and not feeding actively. The Hot Ponds are producing lots of catfish. Au Gres – Anglers were still getting walleye but not in big numbers. Most are trolling in 30 to 35 feet of water straight off the mouth of the river. 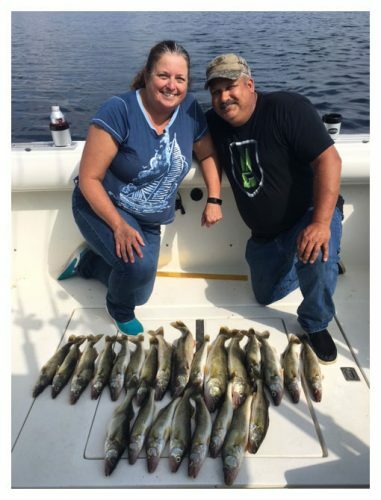 Those fishing 6 to 8 miles south of Au Gres did seem to catch more fish. Oscoda – Lake trout and salmon have been caught in waters 100 to 130 feet deep. Anglers reported an abundance of baitfish at those depths and that might explain why catch rates were slower. Some did manage to catch a couple steelhead along with some coho and pink salmon. 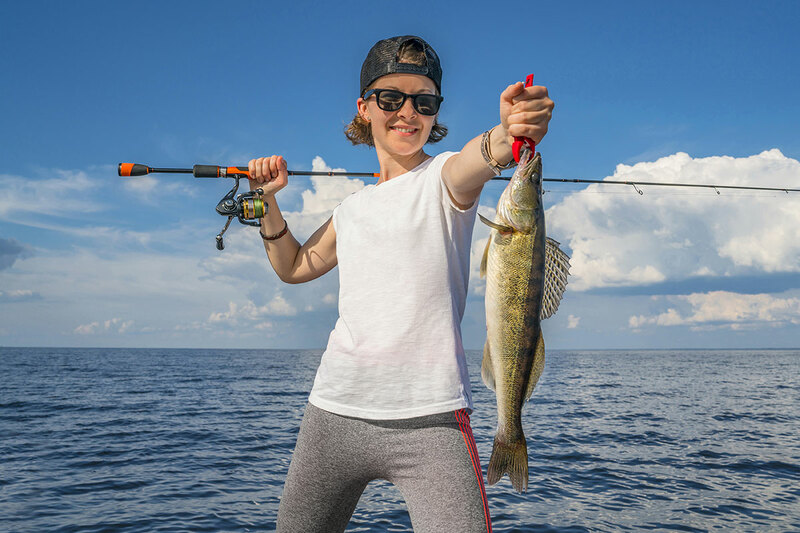 Oscoda — Au Sable River – Walleye action was still slow but should start to pick up because work on the dam is finished and the water is flowing again. A few fish were caught on crawler harnesses and slip bobbers. 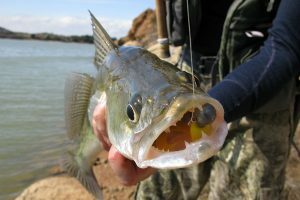 Port Austin – Walleye have been caught on the reefs between the port and Caseville when the winds were light. Those fishing to the south caught walleye in 25 to 40 feet of water. Not much to report in the way of salmon and lake trout activity. 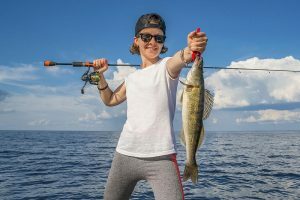 Tawas – Pier and shore anglers along the river managed to catch a few bass, catfish, carp and freshwater drum. Those trolling down near Alabaster caught walleye in 20 to 25 feet of water.